Whether you are interested in Reality TV, Film, Modeling, Comedy, Hosting or anything in between, we are interested in meeting you. 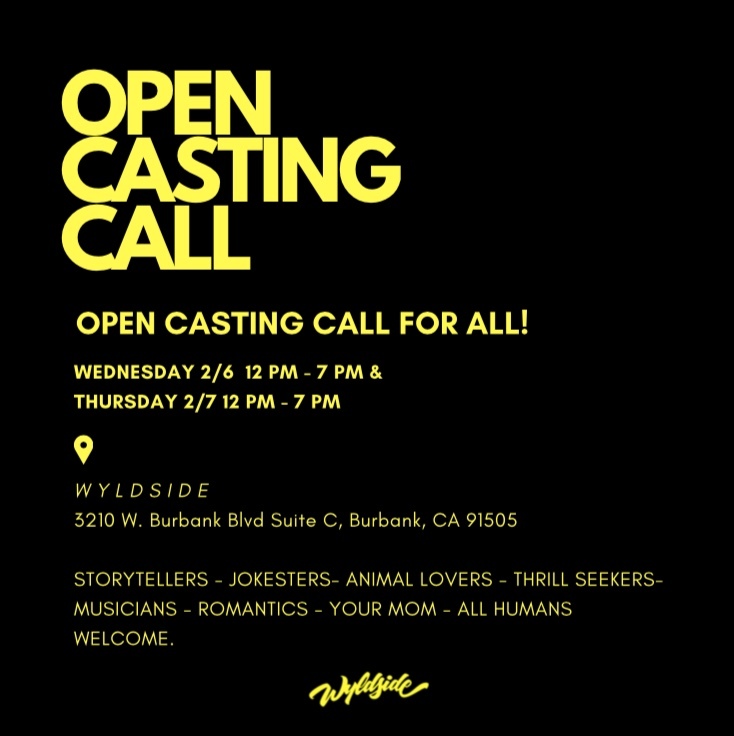 Wyldside Media is searching for people of all ages, all types, and most importantly all OPINIONS! If you have something to say, we want to meet you! Come showcase your best self with the Casting Producers behind some of the greatest shows out there, including America’s Got Talent, Real Housewives, Extreme Makeover: Home Edition, Shark Tank, Basketball Wives, Shahs of Sunset and let your voice be heard. Bring yourself, bring your friends, bring your family, and bring your energy, and let’s get Wyld, together!